polished and covered with a protection for the stone. 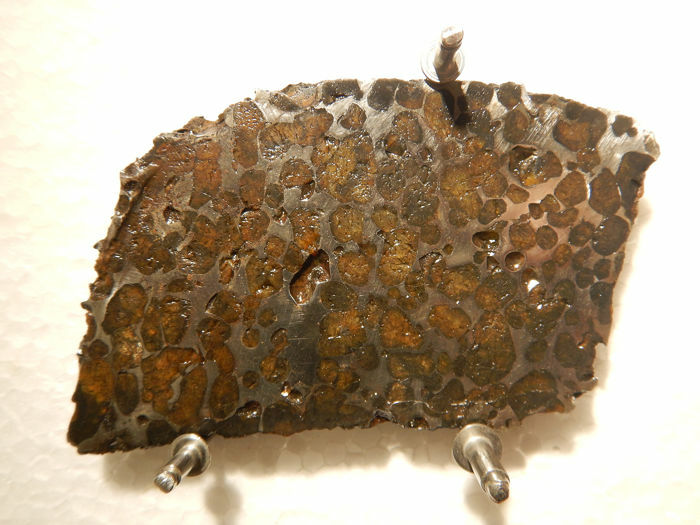 This Pallasite was initially called Habaswein, a city close to the first finds. 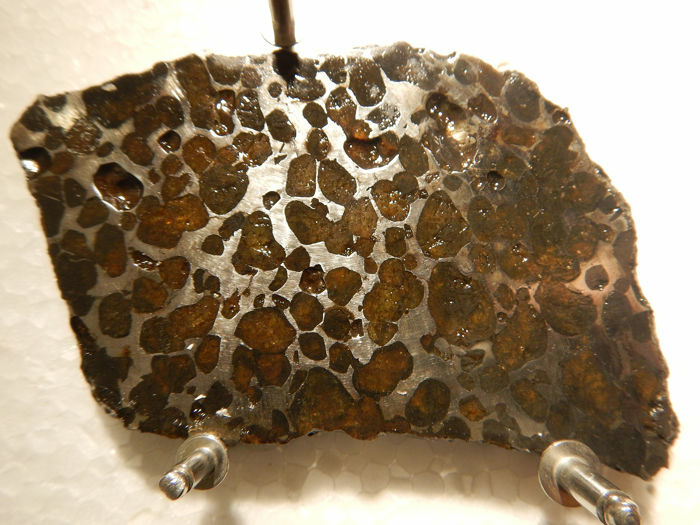 Finally, the meteorite was officially named Sericho, as the area in Kenya where the impact took place. 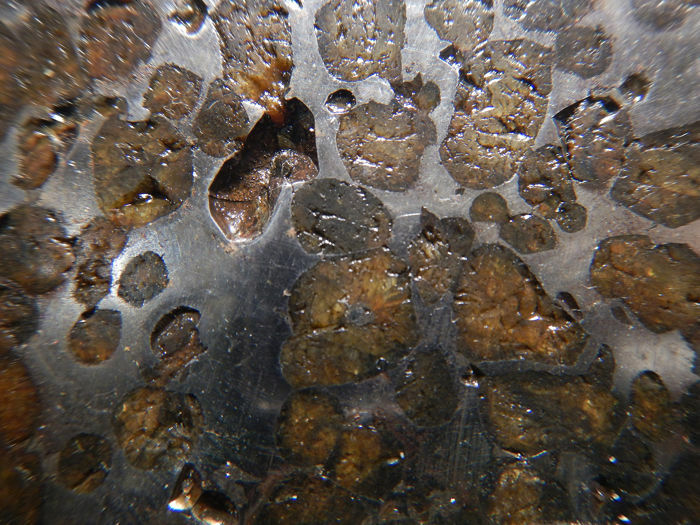 The number of Pallasite falls is less than 2% of all the meteorite falls recorded to date. 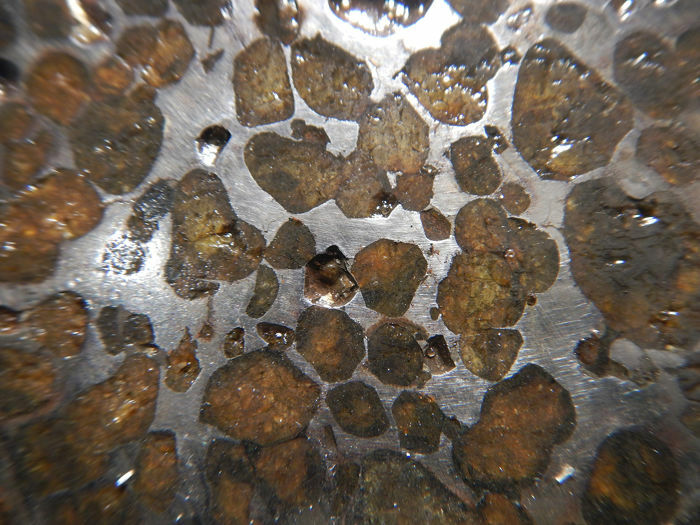 Long before their fall on earth, this Pallasites already have a solid structure, as can be seen in the pictures. 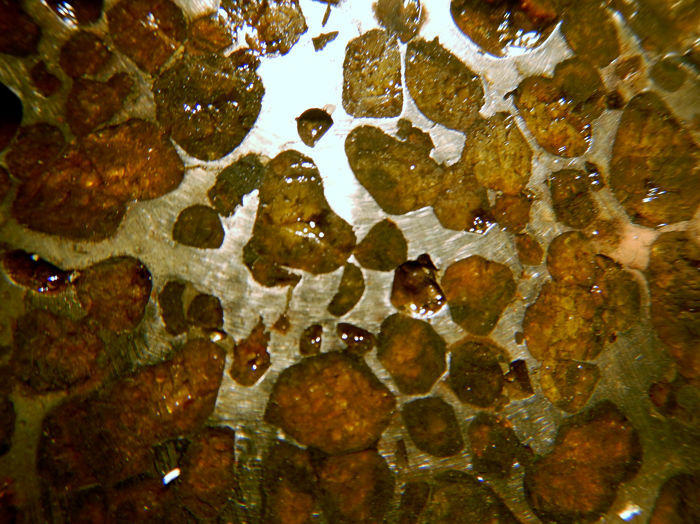 The iron has cooled down very slowly into space over hundreds of millions of years, thus freezing the olivines.